Prior to joining Cambridge Mr. Levitin was the head of Levitin & Associates. His group focused on assisting firms with all aspects of business development, including developing financial plans, internal decision advisory, asset allocation and financial modeling, revenue projection and investment outcome analysis. 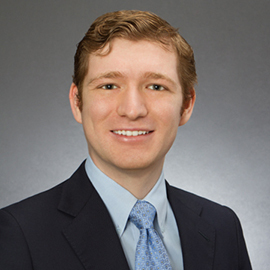 Michael spent a portion of his early career in France where he worked with a European hedge fund updating asset allocation optimization methods and systems. At this time he also performed financial analyses and projections for special projects and consulted on how to solve the financial problems of a wide variety of companies. He created working cash flow projections for a multi-million dollar import firm, which were used by management to make operating decisions, projected and analyzed the returns for both commercial and residential real estate investments. At Cambridge Mr. Levitin monitors National and Local economic conditions across all sectors and provides oversight for the analytics team which is responsible for weekly and monthly reports to the investment team. His team is responsible for internal audit and asset allocation monitoring for institutional clients. Also, Levitin brings to the team his extensive experience in data driven revenue projections and financial modeling permitting Cambridge to make accurate asset allocations and meet quarterly growth projections. He holds a Series 65 investment advisor law license.